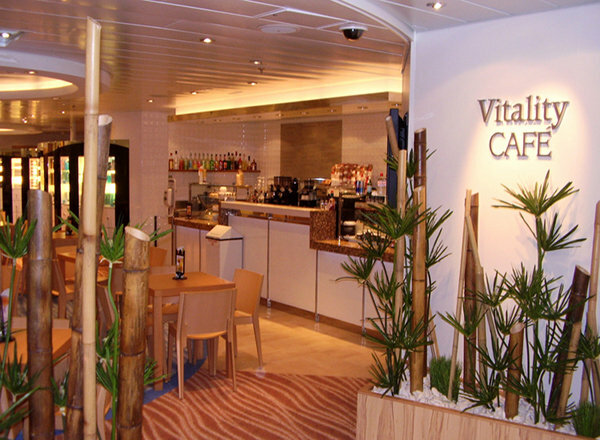 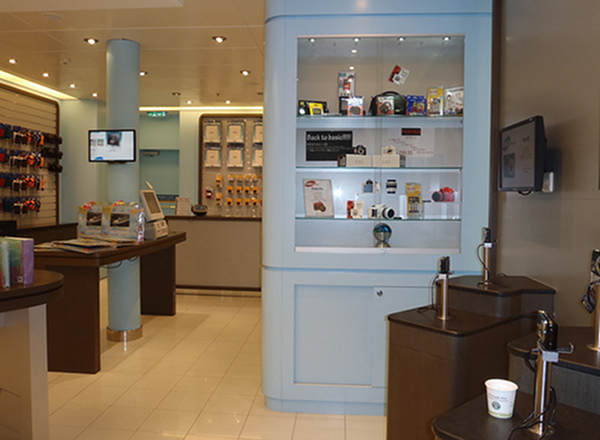 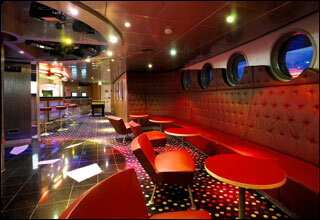 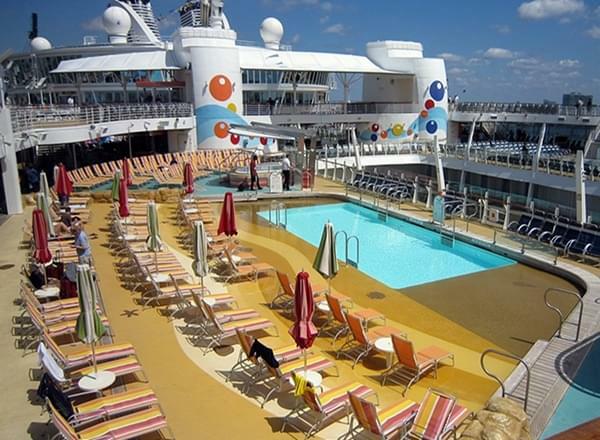 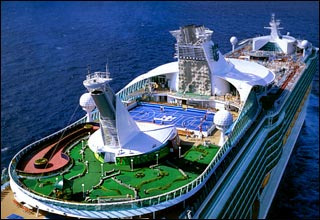 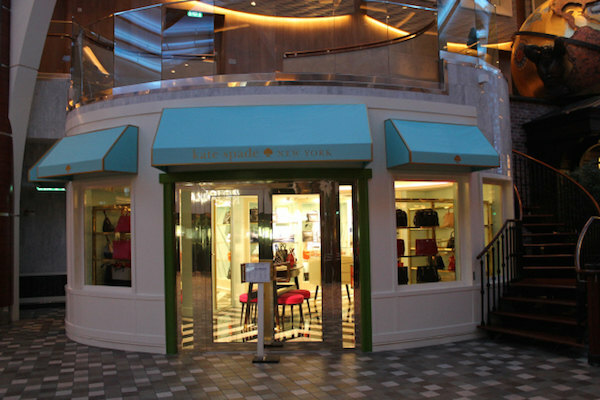 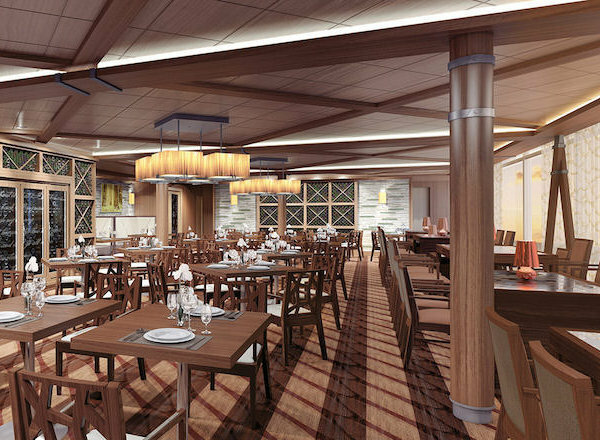 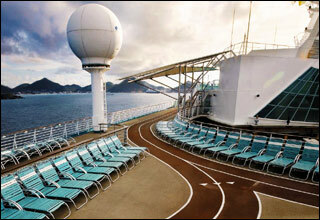 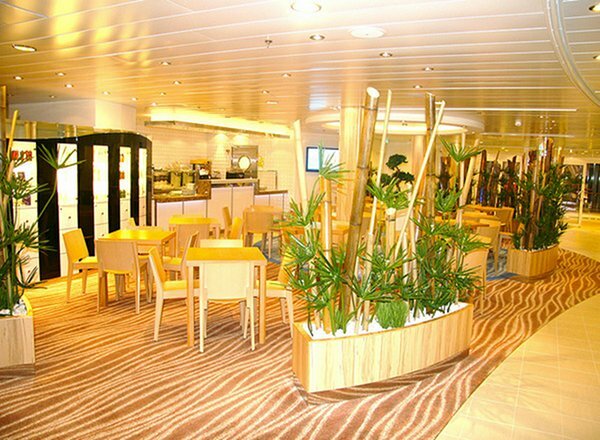 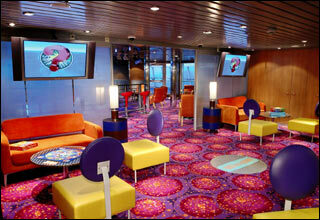 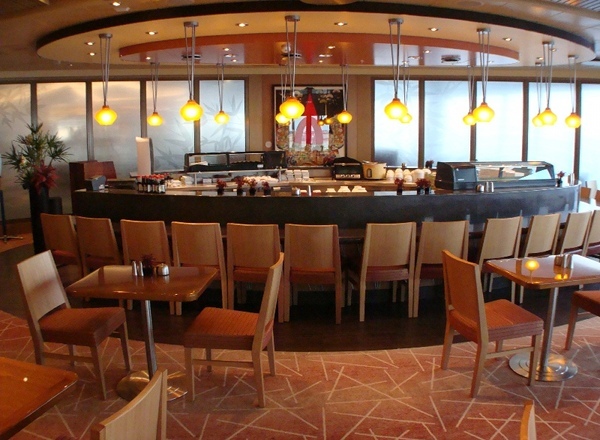 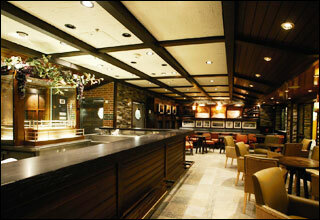 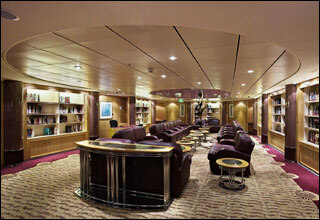 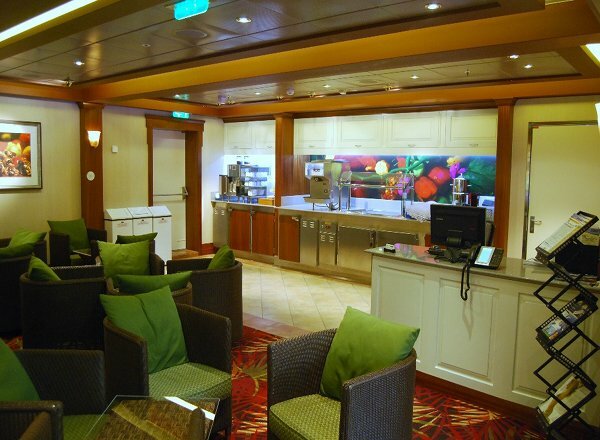 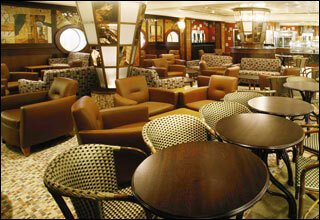 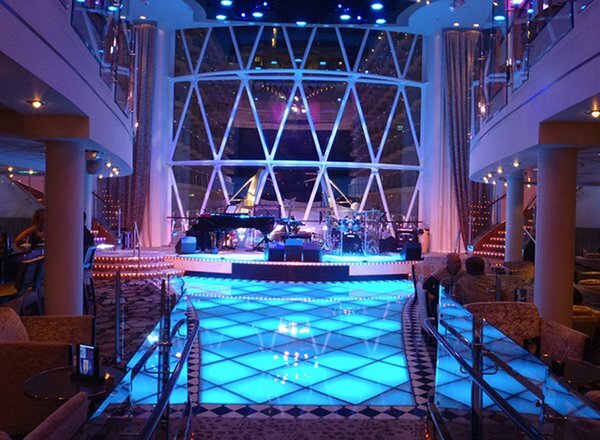 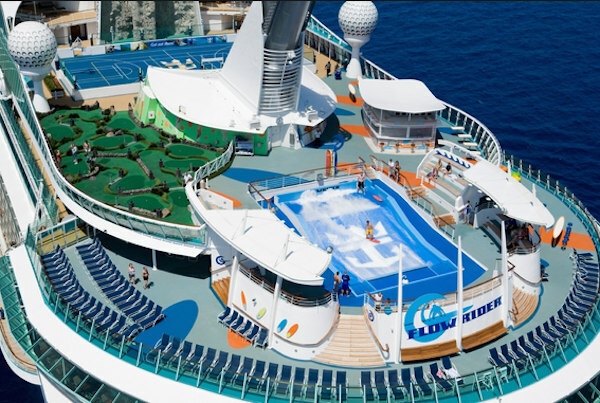 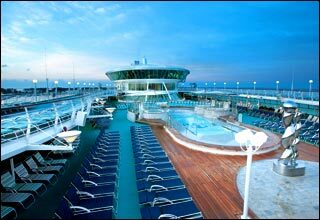 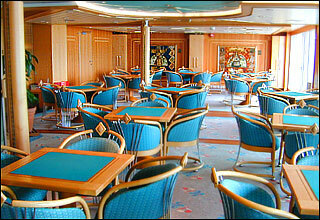 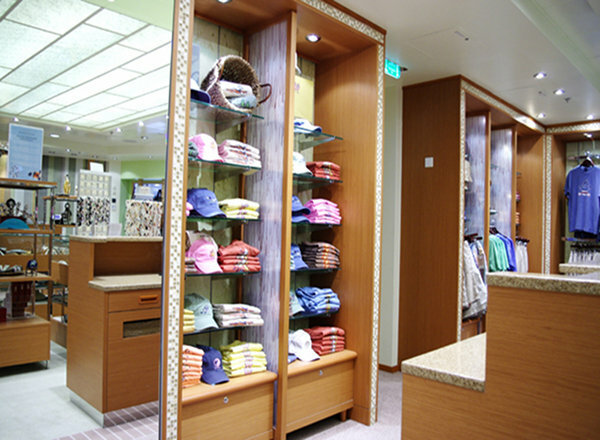 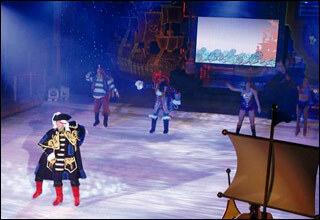 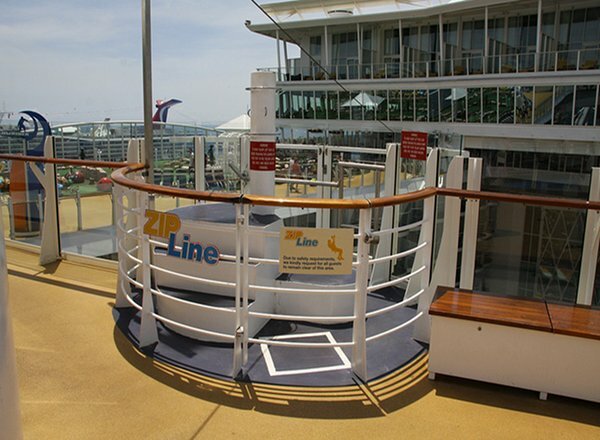 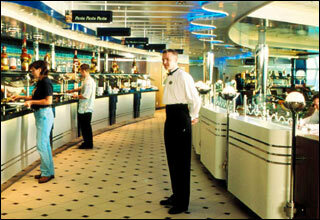 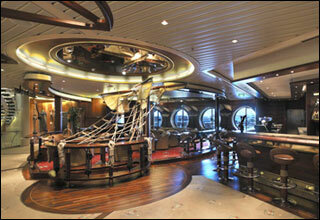 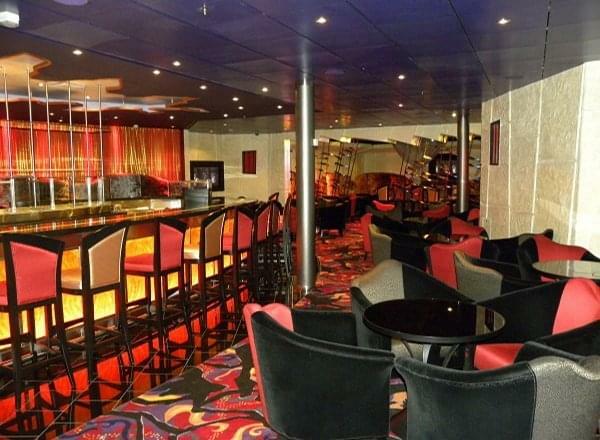 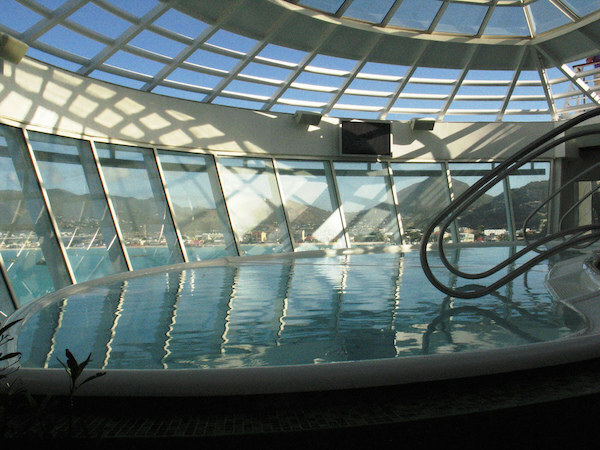 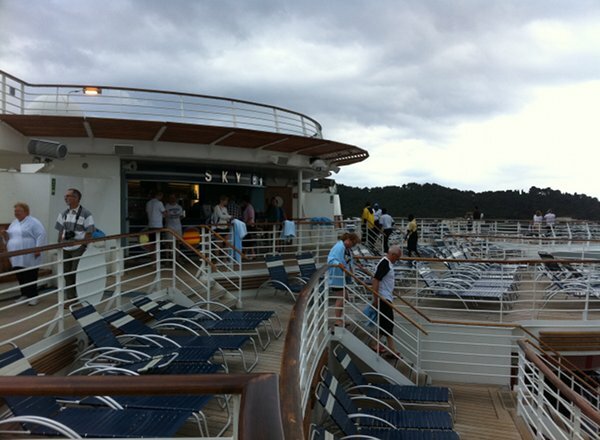 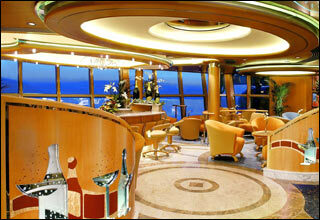 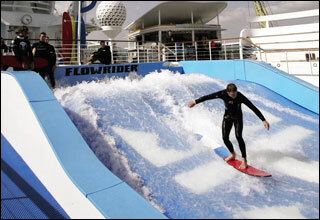 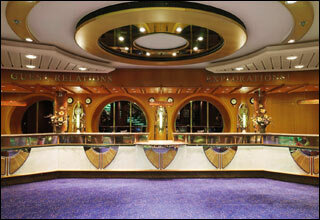 Deck 18 features staterooms in categories RL, SL, L1, L2, and AL. 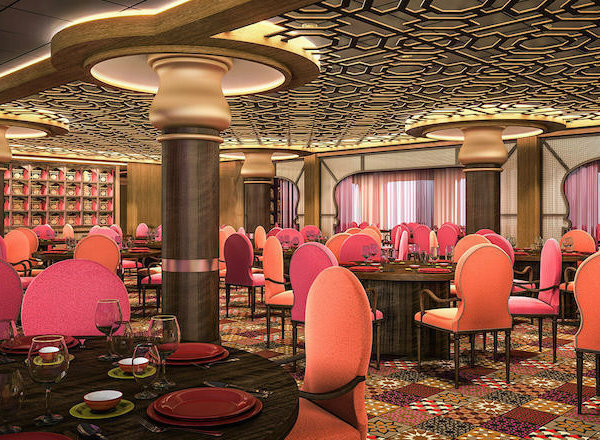 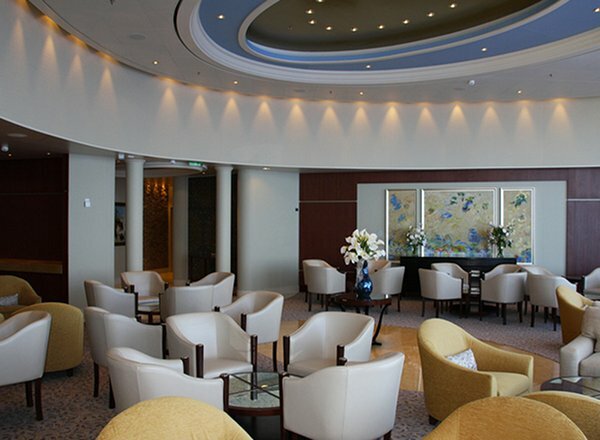 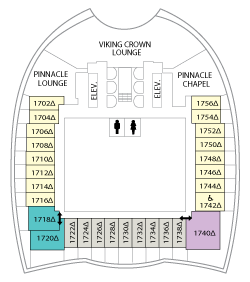 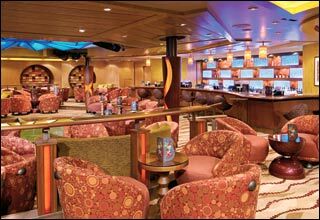 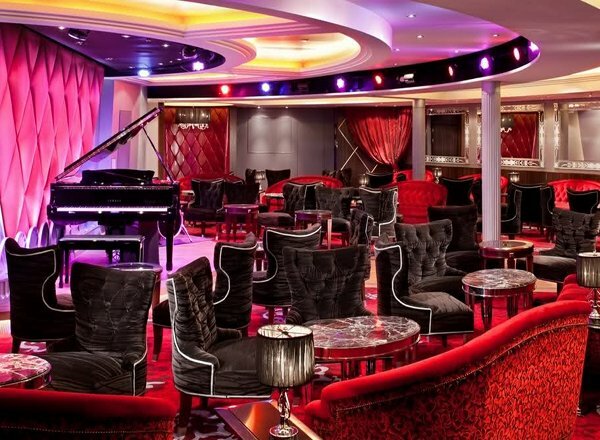 Deck 17 features staterooms in categories RL, SL, L1, L2 and AL, as well as the Viking Crown Lounge, Loft Lounge, and Pinnacle Chapel. 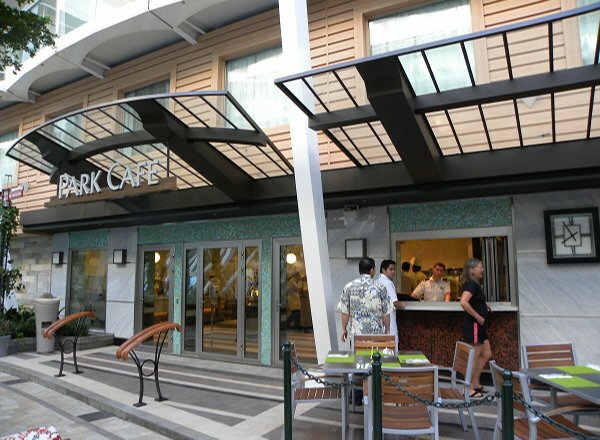 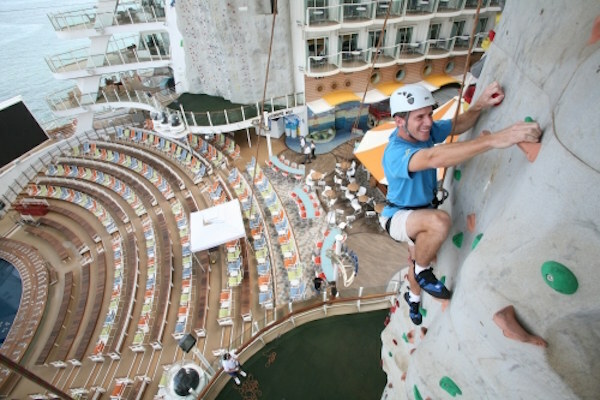 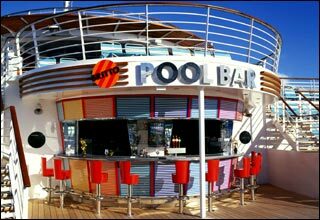 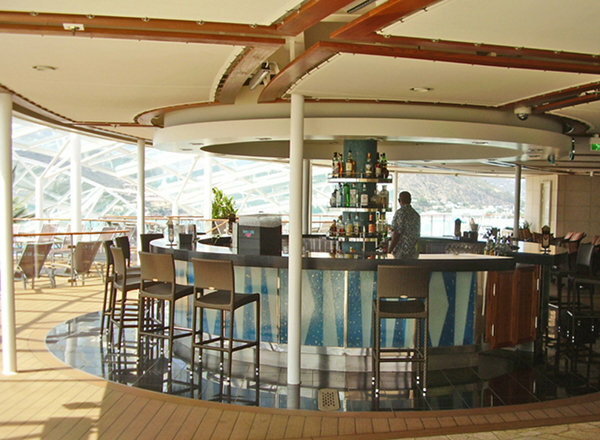 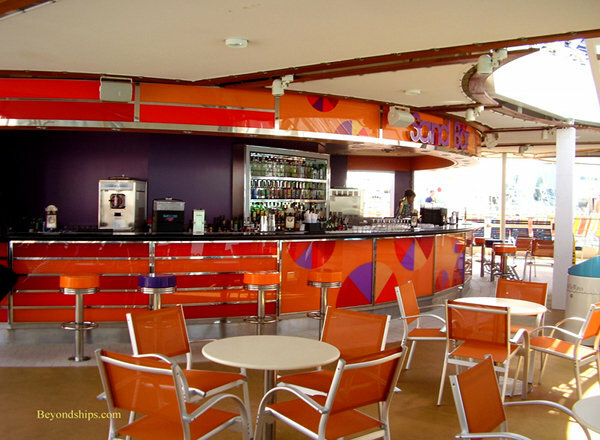 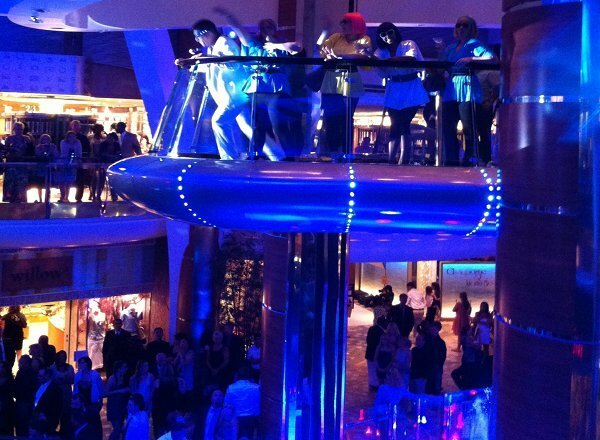 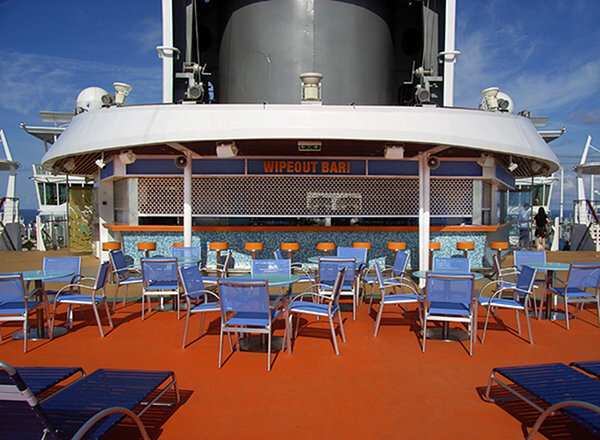 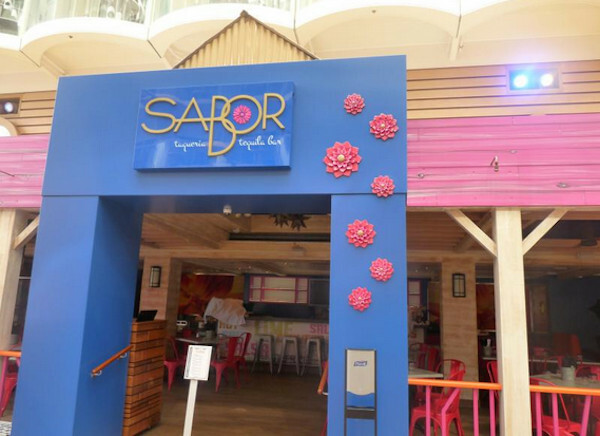 Deck 16 features the Solarium Bar, the Sky Bar, the Mast Bar, Windjammer Marketplace, Izumi Japanese Cuisine, Zip Line, Wipe Out Bar and 2 Flowriders. 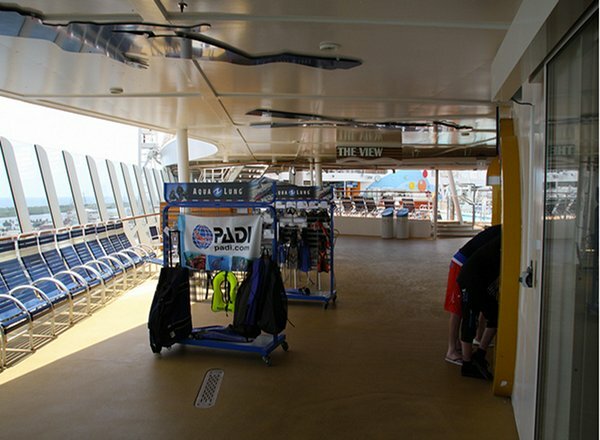 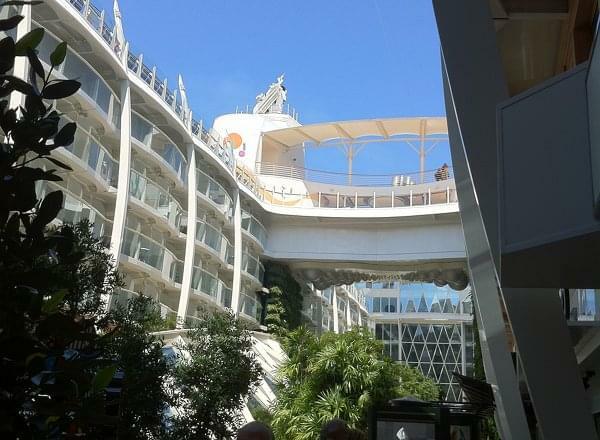 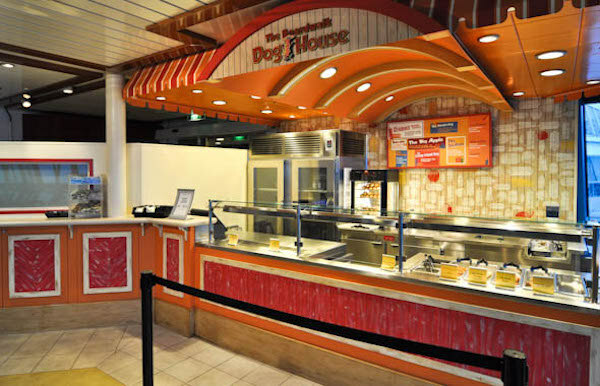 Deck 15 features the Solarium, Solarium Cafe, whirlpools, the Main Pool, Beach Pool, Pool Bar, Sand Bar, Sports Pool, H20 Zone, The Living Room, Video Arcade, Fuel Teen Disco, The Black Deck, Wipe Out Cafe, Oasis Dunes mini-golf course, and the Sports Court. 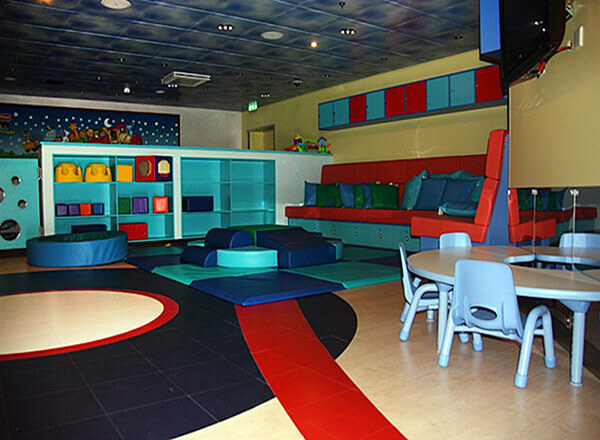 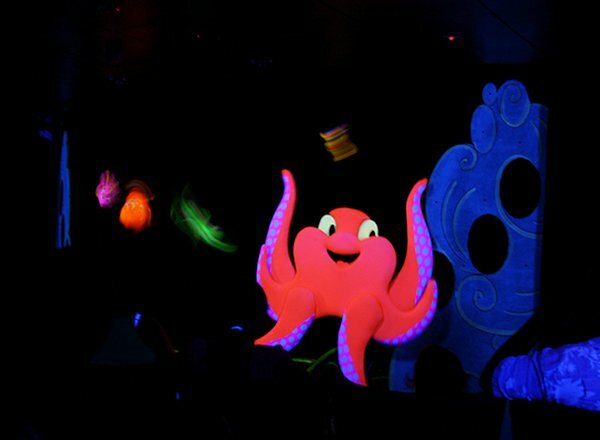 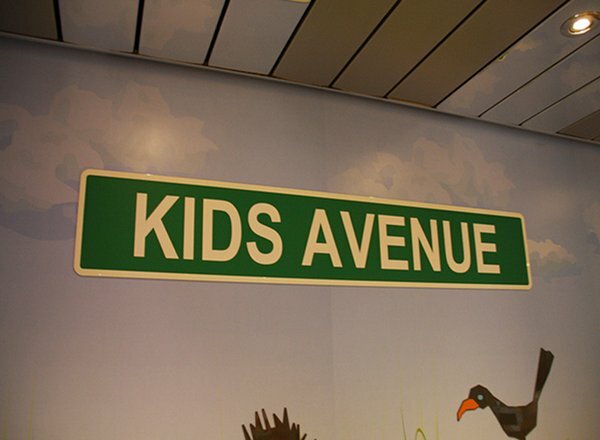 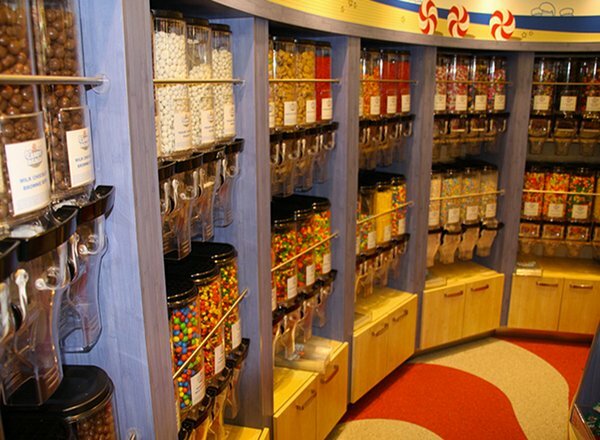 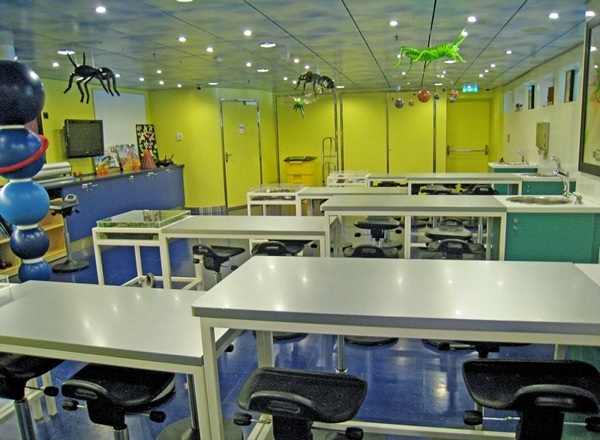 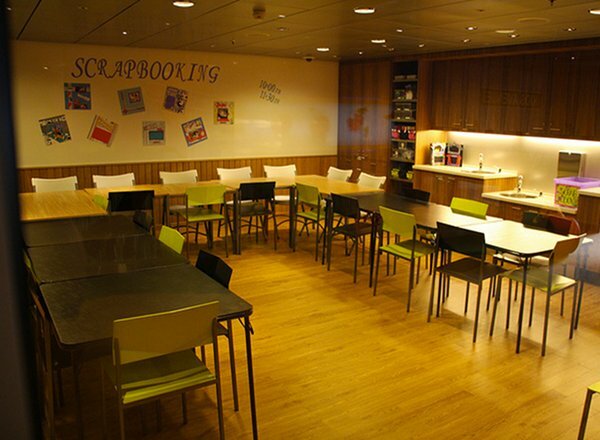 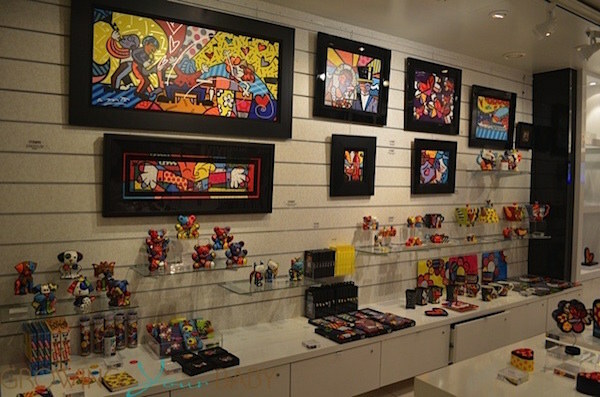 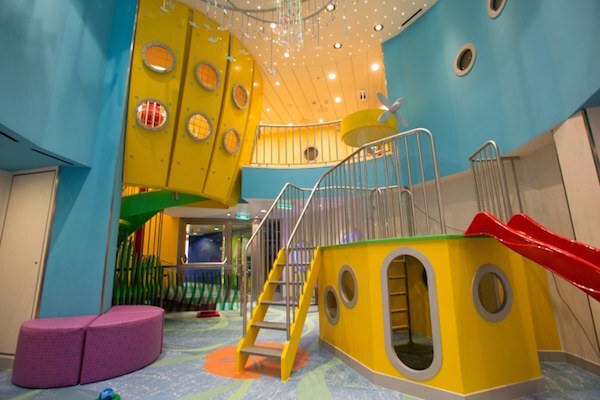 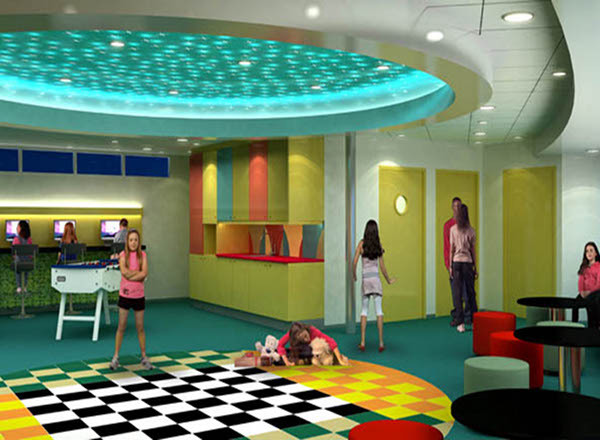 Deck 14 features staterooms in categories OS, GS, JS, AW, B1, B2, C1, C2, D1, D2, D3, D5, D7, AX, AN, L, and Q, as well as the Kids Avenue which includes a nursery called Royal Babies and Tots, Imagination Studio, Workshop, Adventure Science Lab and Adventure Ocean Theater, areas dedicated to kids groups Voyagers, Explorers and Aquanauts, and a kids arcade. 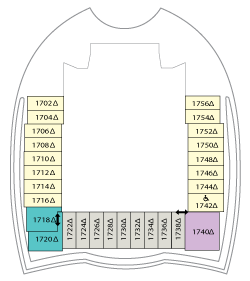 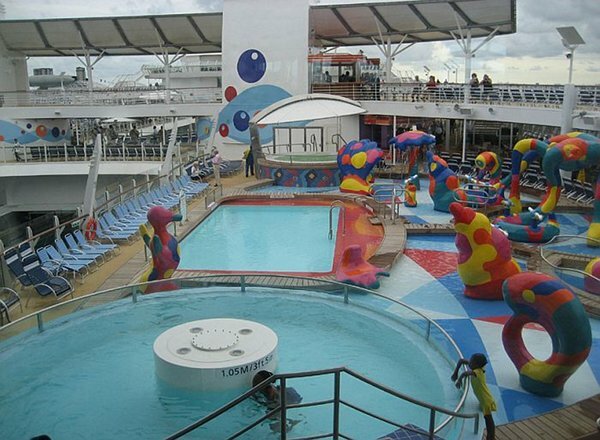 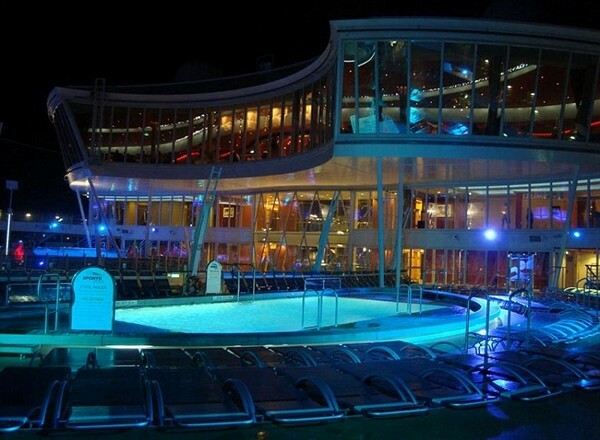 Deck 12 features staterooms in categories RS, PS, GS, JS, B1, B2, C1, D1, D2, D3, D5, D6, AX, L, and Q.
Deck 11 features staterooms in categories OS, GS, JS, FB, B1, B2, C1, C2, D1, D2, D3, D5, D7, AX, FO, F, FI, L, M, and Q.
Deck 10 features staterooms in categories A3, OS, FS, GS, JS, B1, B2, C1, C2, D1, D2, D3, D5, D7, AX, F, H, L, M, and Q.
Deck 9 features staterooms in categories A2, FS, GS, JS, B1, B2, D1, D2, D4, D5, D7, AX, CV, F, H, L, M, and Q.
Deck 8 features staterooms in categories A1, GS, JS, B1, B2, D1, D2, D4, D5, D8, F, H, L, N, and Q, as well as the Art Gallery, Vintages, Picture This, Park Cafe, Giovanni's, Central Park, Trellis Bar, Rising Tide Bar, Chops Grille, 150 Central Park, and Dazzles. 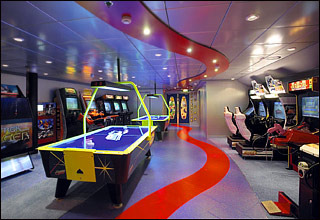 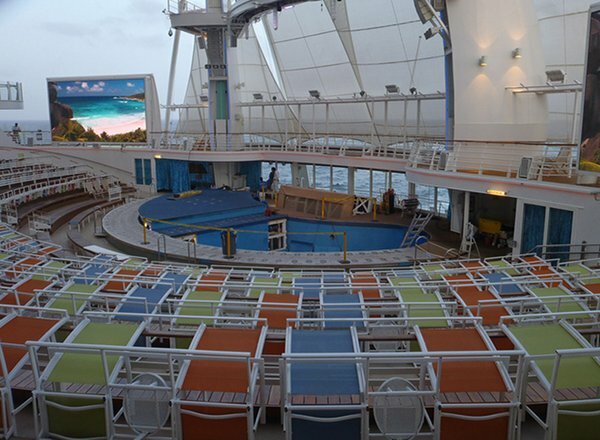 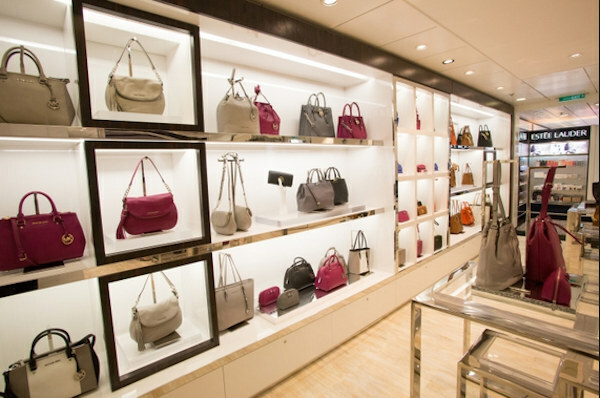 Deck 7 features staterooms in categories GS, JS, FB, D1, D2, D4, D5, D8, BV, F, H, PR, L, N, and Q.
Deck 6 features staterooms in categories GS, JS, D1, D2, D4, D5, D8, AX, L, N and AZ, as well as the Diamond Club, Schooner Bar, Focus, Ice Cream Parlor, Boardwalk Dounut Shop, Pinwheels, Candy Beach, Star Pier, a carousel, Smile, Madame Zamara's Psychic and Tattoo Parlor, Seafood Shack, Johnny Rockets, Boardwalk Bar, the Aquatheater, and the Vitality at Sea Spa and Fitness Center. 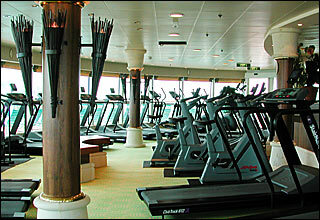 Deck 5 features the first level of the Vitality at Sea Spa & Fitness Center, the the upper level of the Opal Theater, the Royal Promenade that includes On Air Club, Starbucks, Boleros, the Promenade Shops, Globe & Atlas Pub, Shore Excursions desk, Sorrentos, Cupcake Cupboard, Cafe Promenade, Focus, Guest Services, Rising Tide Bar, Champagne Bar, the upper level of the Opus Dining Room, Aquatheater, and the jogging track. 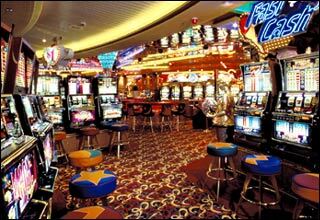 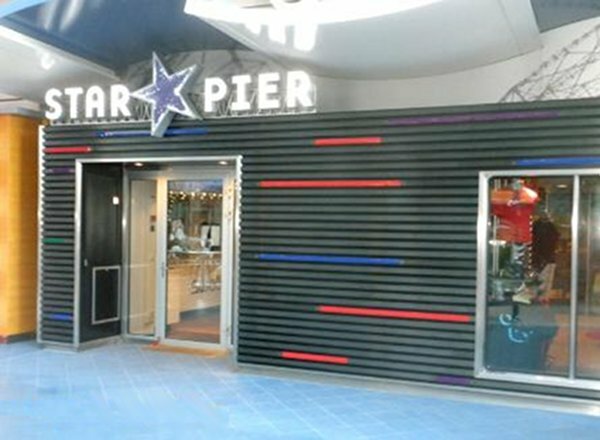 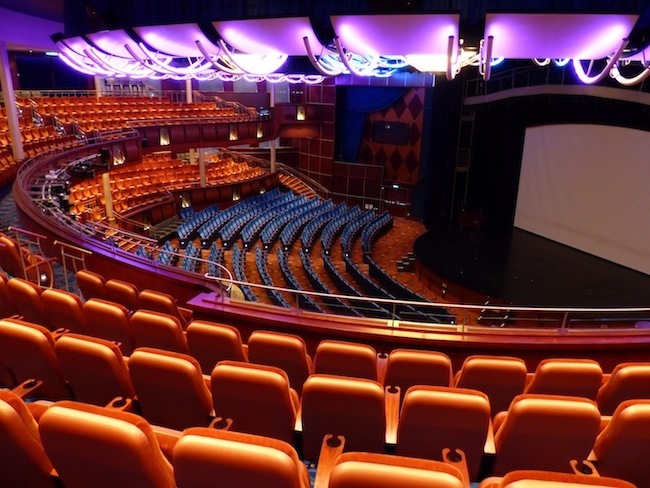 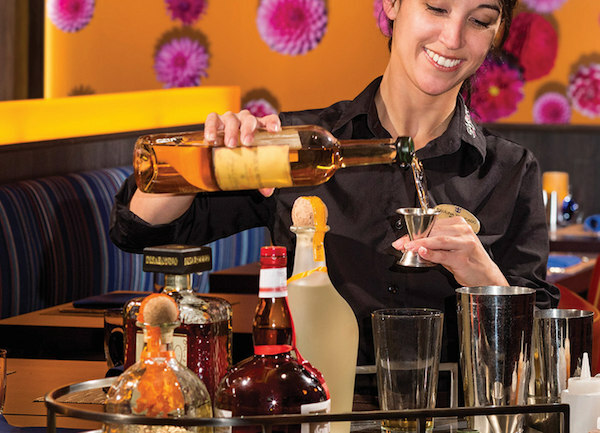 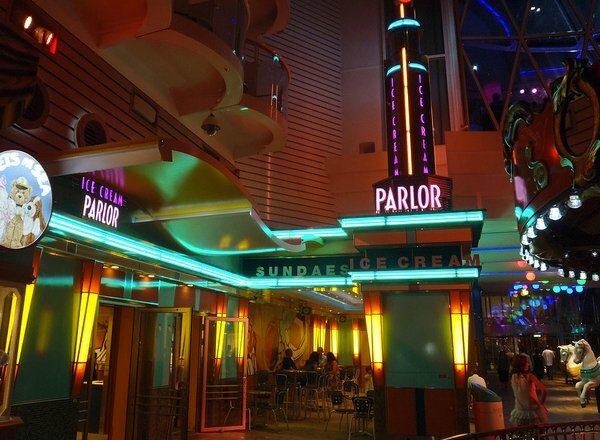 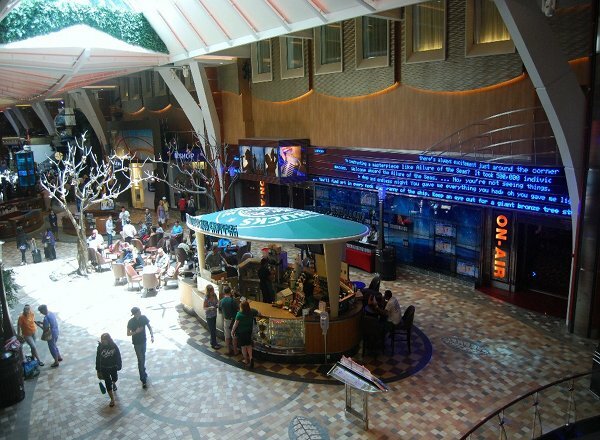 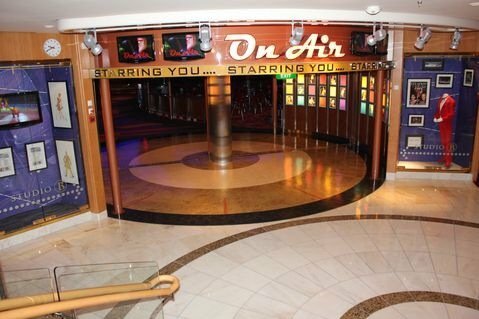 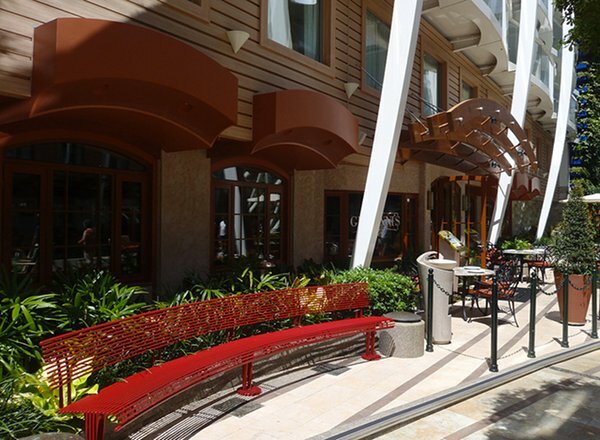 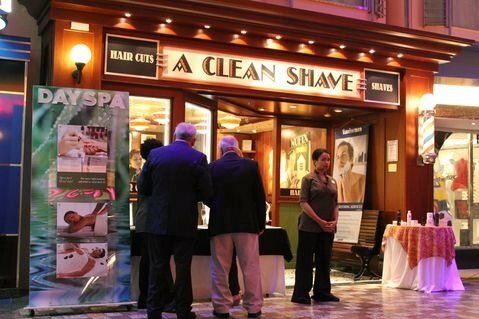 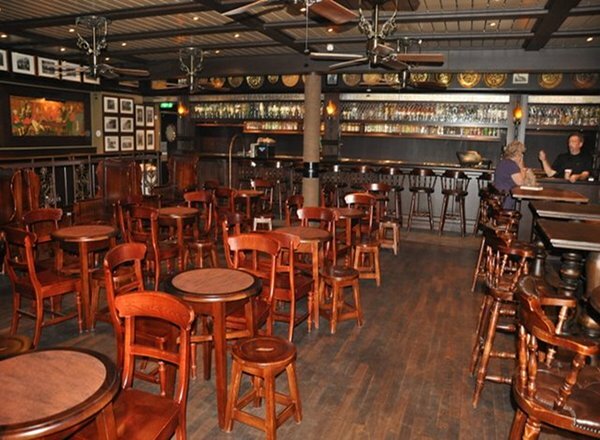 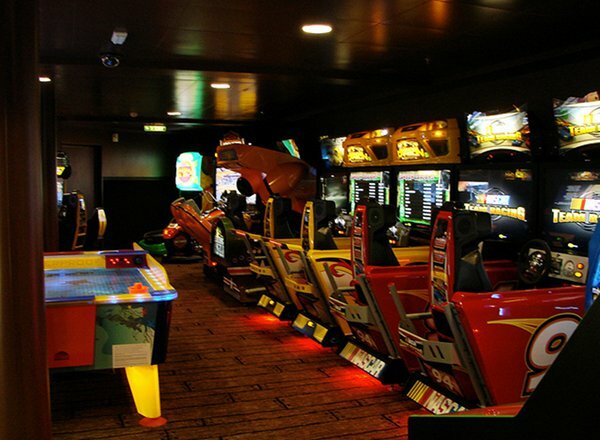 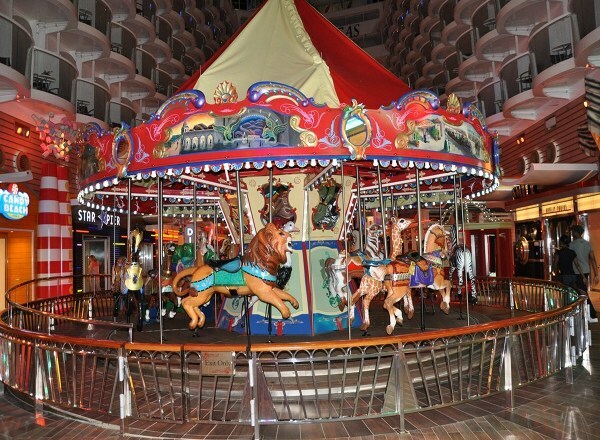 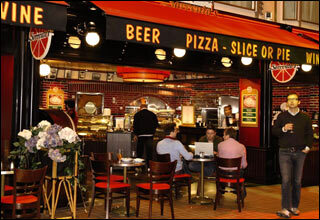 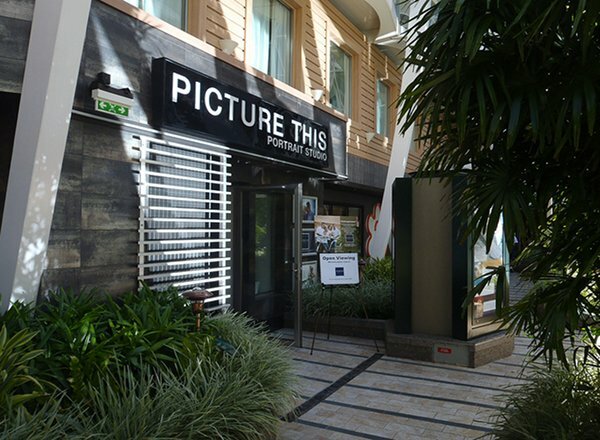 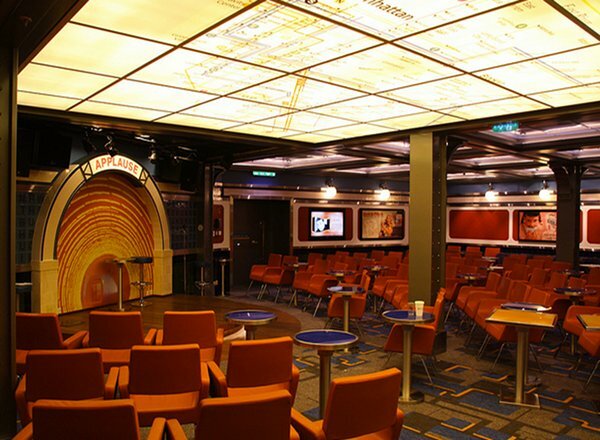 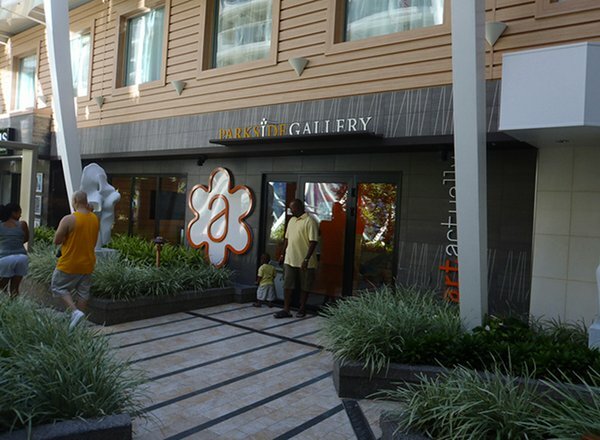 Deck 4 features the Opal Theater, the second floor of the Opus Dining room, Blaze, Studio B, Jazz on 4, Comedy Live, the casino as well as the Hall of Odds and the Museum of Gaming. 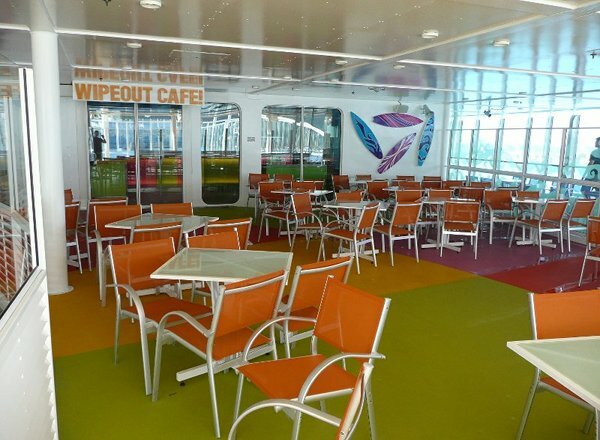 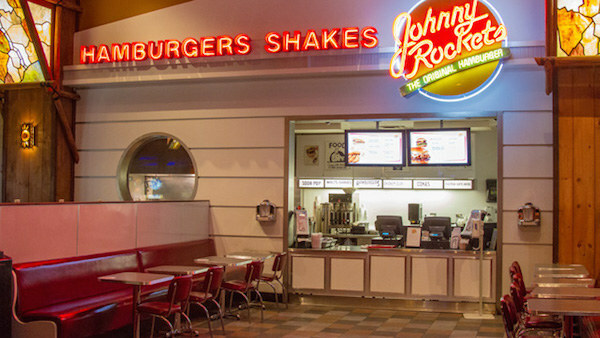 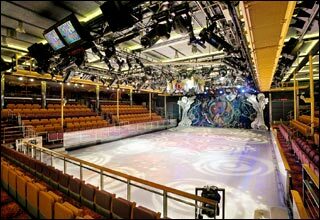 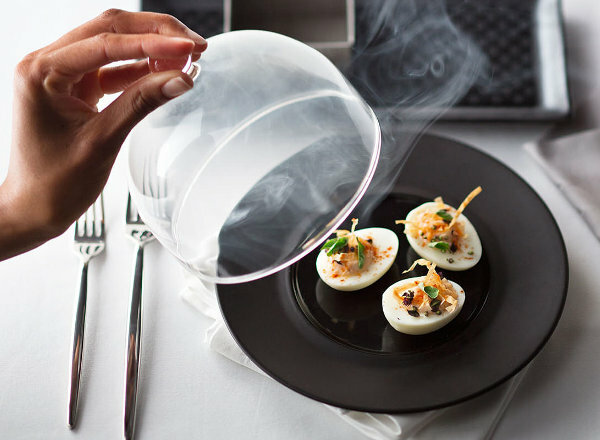 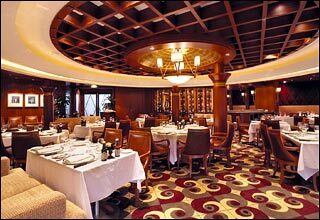 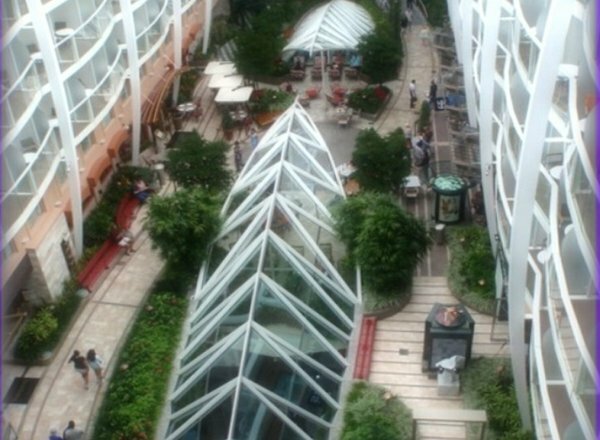 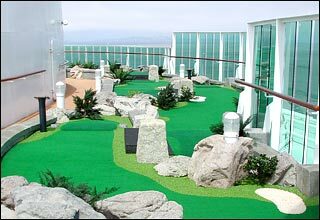 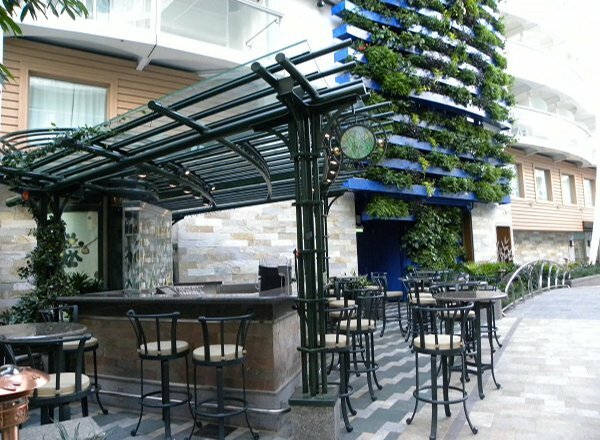 Deck 3 features stateooms in categories I, AY, M, N and AZ, as well as the Opal Theater, the first level of the three level Opus Dining room, Studio B, Center Ice Rink, and conference center.